Nadia Eckhardt was born in the beautiful city of Cape Town, South Africa. She lives in Seattle today, but still calls the Cape “home.” She has traveled to all seven continents and more than 125 countries, and plans on exploring a lot more with Expedition Easy and Africa Easy. Nadia is well-versed in many adventure destinations across the globe, from Antarctica and the Arctic, to the Galapagos Islands and Japan, and places throughout the diverse African continent. She divides her time between leading safaris and expeditions, and planning trips for travelers with colleagues in her Seattle office. Ashley has always had a great love for and interest in travel and wildlife for as far back as she can remember. 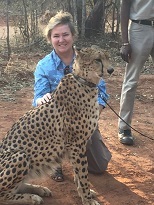 This love for wildlife is what prompted her to plan a ‘bucket list’ 25-day safari to Southern Africa in 2010, using Africa Easy as her Travel Specialist. The trip included city touring and safari in South Africa, as well as a visit to Livingstone, Zambia, to see the mighty Victoria Falls. After visiting Southern Africa, she was hooked and decided to change her career focus to emphasize travel, tourism, and wildlife. She reached out to Nadia Eckhardt for work, knowing that she could 100 percent support the product having first-hand experience as a client. She came to the company with 14 years in the hospitality industry and a strong background in customer service, event coordination, office management, and operational management. Ashley has found her place on the team as Document Manager, responsible for pre-departure and final documents. She has since returned to the African continent for an East Africa safari. She explored Kenya in 2013 on an educational tour of the country, where she experienced a hot-air balloon ride above the Masai Mara. Ashley also visited the beautiful city of Amsterdam where she fell in love with its traditional Dutch architecture and picturesque canals. Most recently in 2015, Ashley explored across the island nation of Cuba, from Havana and Trinidad to Santiago de Cuba. 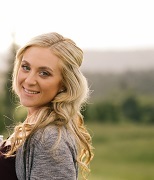 Emily was born in Connecticut and currently resides in the greater Seattle area with her husband and 2-year-old son. She earned her associates degree in Business and is on her way to completing her bachelor’s degree in the near future. Ever since Expedition Easy planned ​Emily’s first family trip to New Zealand, she has had a strong desire to travel and explore and hopes to one day visit all 7 Continents! Emily enjoys experiencing different cultures and adventure activities in remote regions. ​After returning from her family adventure around New Zealand, Emily ​​has continued to travel including​ ​a voyage to The Galapagos Islands​ and to ​Australia​ as well as the Caribbean. Emily has played an integral part of the Africa Easy/Expedition Easy Team since ​signing on February 2016, wearing several hats including Marketing and Sales, bookkeeping and safari itinerary planning. Emily is passionate about adventure travel and is very much looking forward to her first Safari to Africa with her family in June 2019.